Fitness rule changes are one way the Navy plans to keep sailors in uniform. The message also unveils a new set of rules for the Physical Fitness Assessment, bringing to an end the rules forcing sailors to leave the Navy if they failed two fitness assessment tests in a three-year periodThe Navy’s Physical Fitness Assessment, or PFA, is a two-part process consisting of a Body Composition Assessment and a Physical Readiness Test. The test grades sailors, based on their age, on push-ups, sit-ups and a 1.5-mile run. 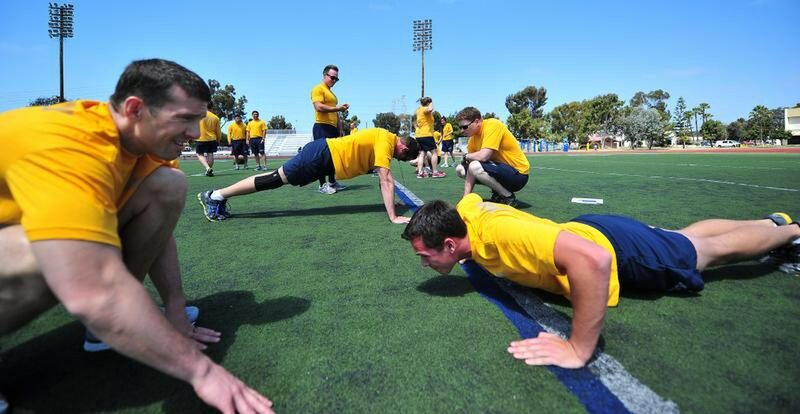 “The goal of the Navy’s physical readiness program is to maintain a minimum prescribed level of fitness necessary for world-wide deployment and to maintain a sailor’s long-term health and wellness,” Burke said.The change marks the third time in a week that the Navy has scaled back its rules that send sailors prematurely packing before the end of their enlistment. The Navy has recently increased high-year tenure for E-3 sailors and ended early out programs.For sailors who have failed past PFA tests, the new rules will let them stay in the Navy until at least the end of their current enlistment or service obligation. This is the second time in two years that the Navy has given PFA amnesty to sailors with failures on the books. The Navy reworked its PFA program in 2015 to ease the body fat percent rules and tighten the failure consequences.Enlisted sailors slated for a premature discharge before March 31 have until Feb. 1 to notify their commands whether they want to stay in. Officers in the same situation must ask Navy Personnel Command to have their separations reversed, which must then be approved by Secretary of the Navy Richard Spencer. As part of this new initiative, every sailor’s fitness slate will be wiped clean on Jan. 1, but following the upcoming spring’s testing cycle, a new set of rules be applied to those not meeting fitness standards.A key new requirement is that all sailors transferring to a new command will get a Body Composition Assessment, or BCA, within five days of reporting to a new command. Those who fail will be immediately enrolled in their new command’s Fitness Enhancement Program, or FEP, until they pass an official PFA cycle. Enlisted sailors who fail two consecutive PFA tests will not be eligible for advancement and will be unable to reenlist or extend as well.For both officers and enlisted, back-to-back failures will prompt a mandatory fitness evaluation, or a performance evaluation that notes significant problems. Officers could be processed for separation — or retirement if they’re eligible — after two consecutive failures. Officers in this category won’t actually have to leave the service, however, until their next scheduled rotation date. Once again, though, the final decision will be up to the Navy Secretary’s office.Officers who may face separation can get back in good standing if they pass their next fitness assessment, but their commands will need to submit the proper paperwork to Navy Personnel Command to halt administrative separation.